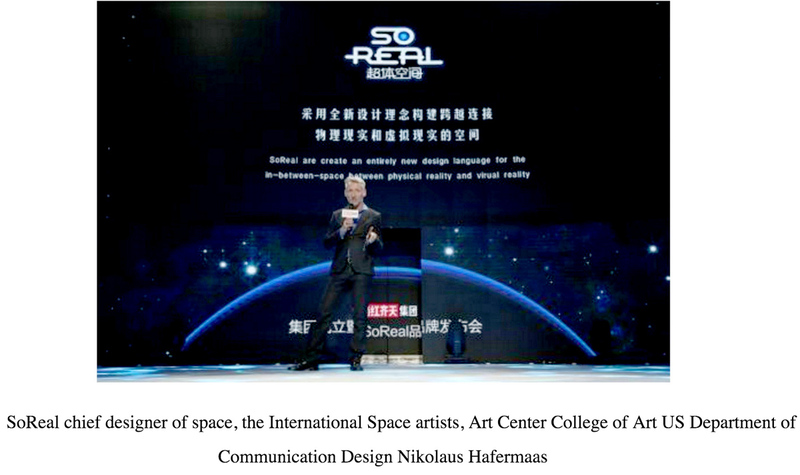 On April 25 I had the pleasure to take part in the official press launch of the new SoReal brand in Beijing. 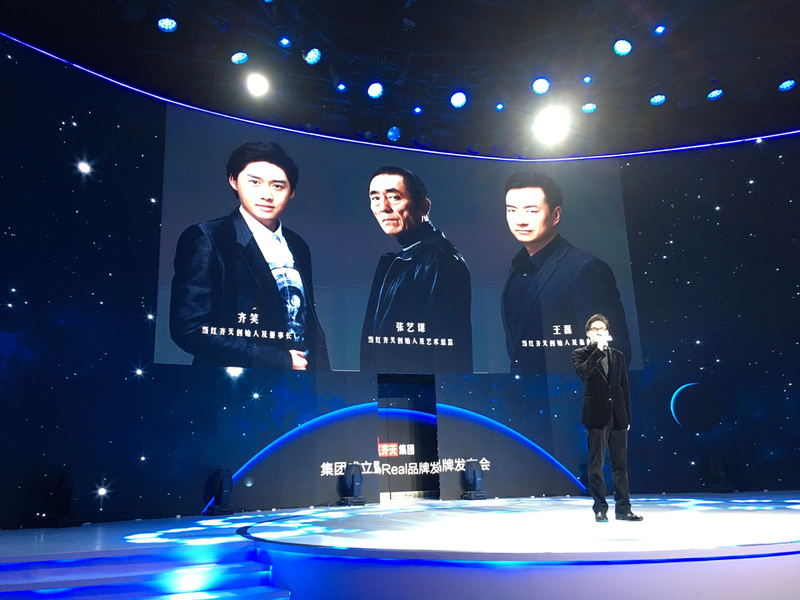 Chinese film director Zhang Yimou – well known for Hero and House of Flying Daggers – is a key partner of this new VR brand, which is part of a media consortium that covers everything from VR content production and distribution to the development of proprietary VR hardware and dedicated entertainment centers. 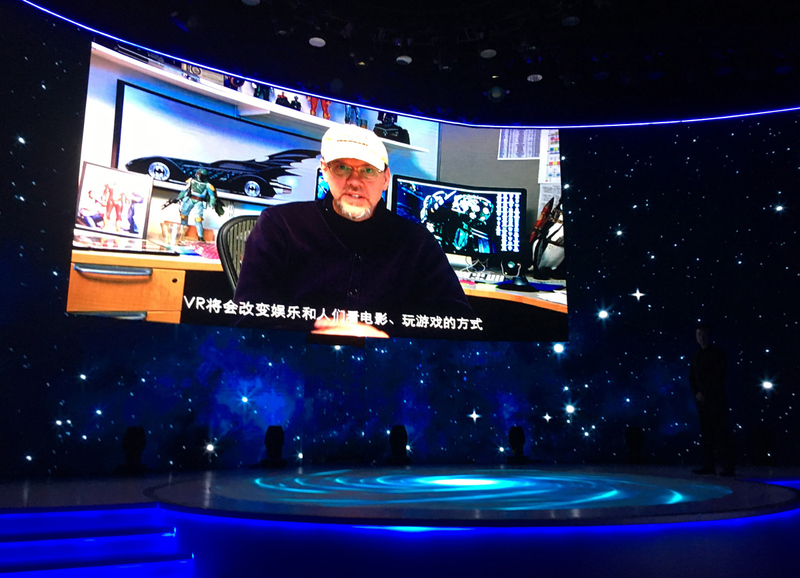 The press was treated to a 180-degree wraparound LED spectacle and to the stage appearance of various protagonists of the new brand. 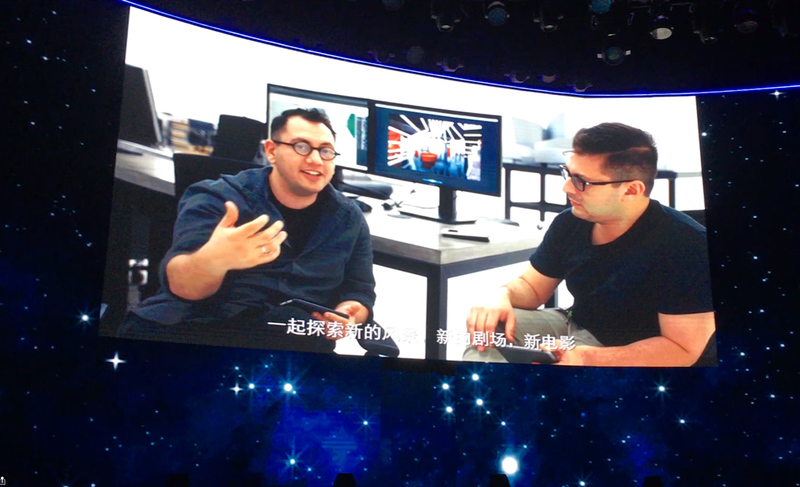 Former ArtCenter Entertainment Design Chair Tim Flattery appeared on screen as well as our design collaborators Refik Anadol and Raman Mustafa.